Matterport is faster and more complete than traditional 3D laser scanning. 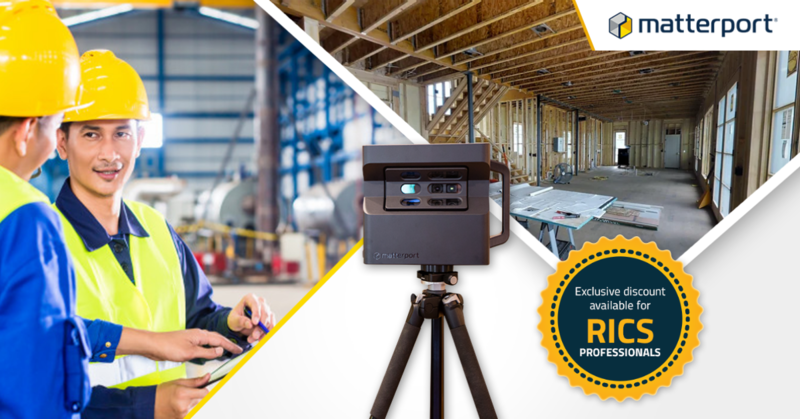 The Matterport Pro2 Camera captures 2D photography and 3D data from job sites and automatically stitches them into a complete, immersive 3D model of a real-world job site. 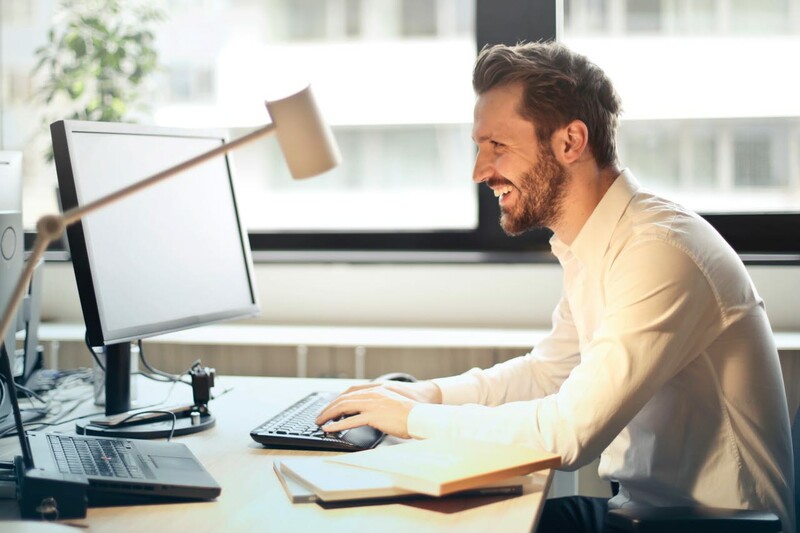 The Matterport system makes it easy to take a 3D model and annotate, share, and import the point cloud into building information modeling software. Incredible ease-of-use is what sets Matterport apart from others. 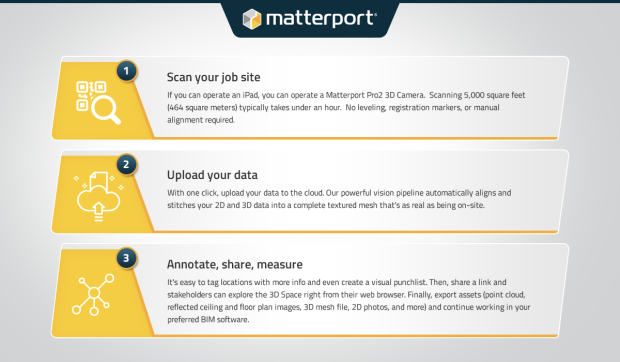 Get a Matterport Space for your job sites in 3 simple steps. 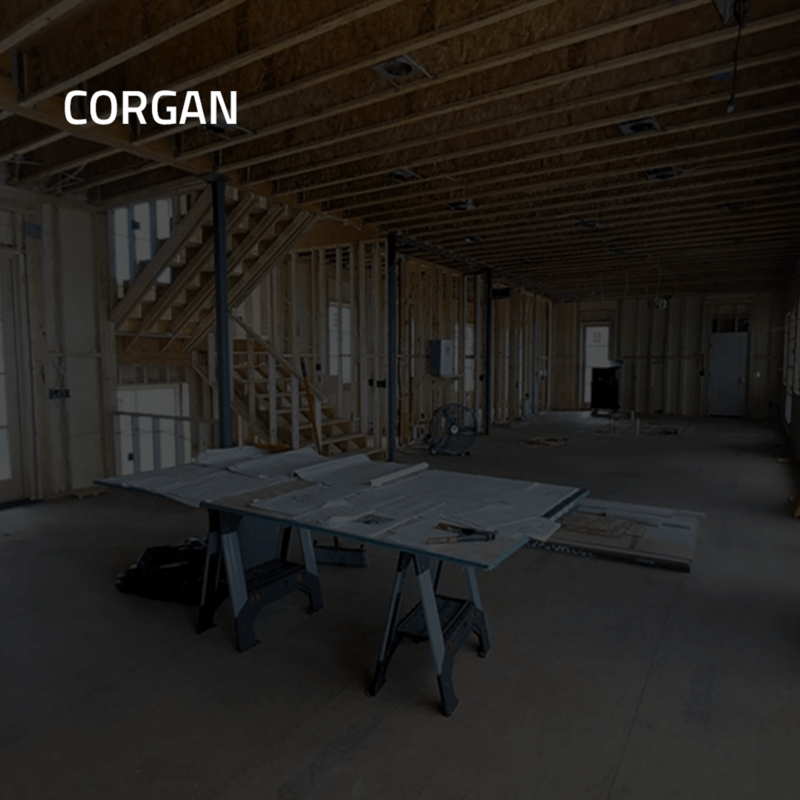 Learn how Corgan is driving efficiency at a $1.6 billion aviation project at the Los Angeles International Airport (LAX). 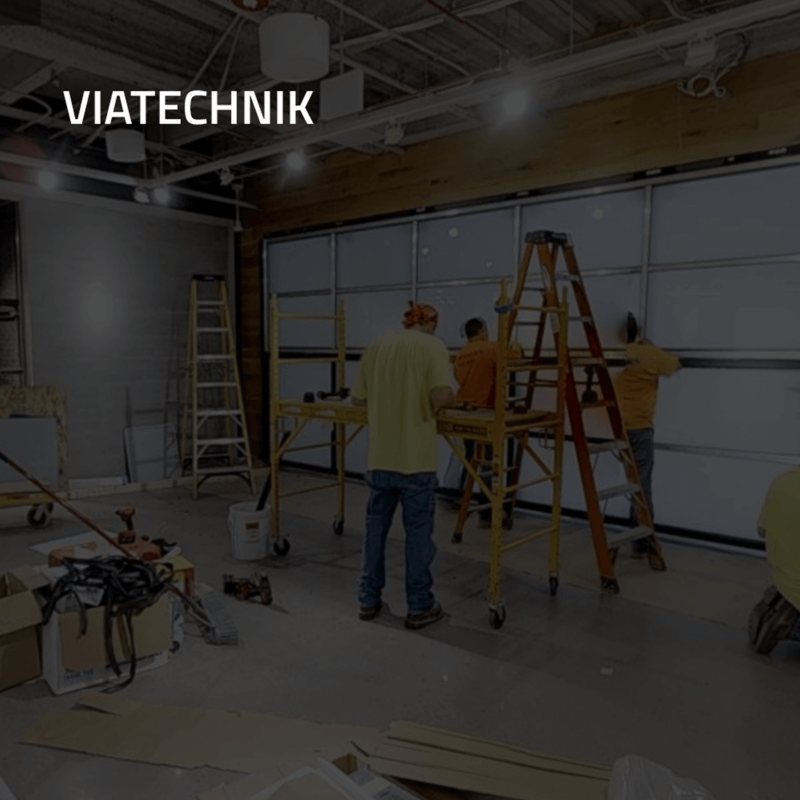 Hear VIATechnik explain how they conduct bi-monthly progress scans and improve milestone documentation using low-cost 3D reality capture. 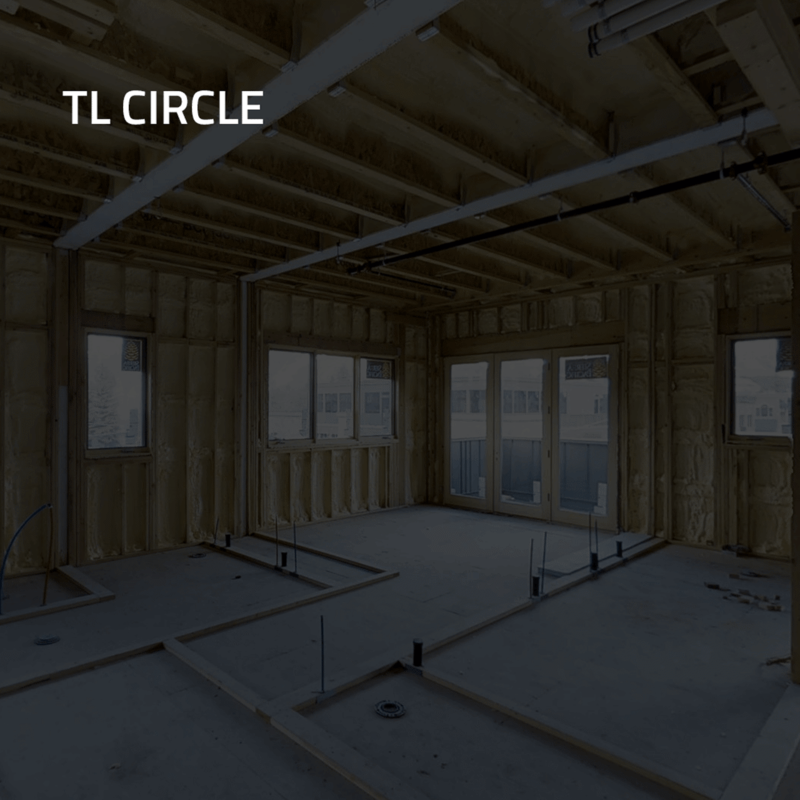 Gain insight into how TL Circle reduced field-to-finish time by 50% and enhances BIM processes in Autodesk Revit® with Matterport point clouds and visuals.